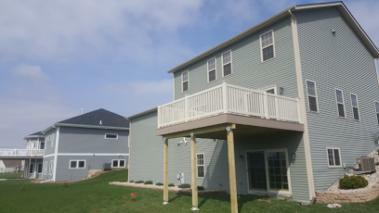 Chris was very professional to work with and they did an excellent job with our deck. We are extremely satisfied with their service from the price to the quality of work. These brothers are AMAZING! 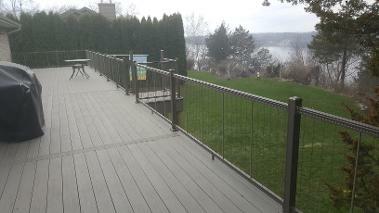 We searched all of Madison, WI for a quality deck and this company was exactly what we were looking for. We had a deck placed on our home in March 2017, and we couldn't be happier with it. 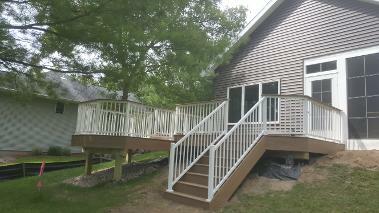 Our composite deck was made with great attention to detail with excellent workmanship. 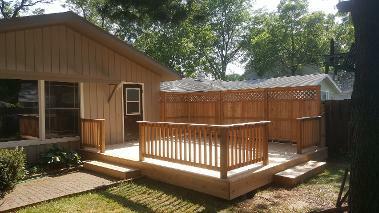 These guys also completed our project within 2 days, and had fair prices. I have been recommending Deck Dogs to all of my friends. Thank you! They were great to work with. Professional, friendly; cleaned up each night and the final product is great. We have recommended Deck Dogs to anyone who has asked us.